THE Down Policing and Community Safety Partnership (PCSP) in conjunction with local PSNI neighbourhood teams and community groups have announced that four local Halloween events will run on Wednesday 31 October 2012 from 6.30pm until 9pm. 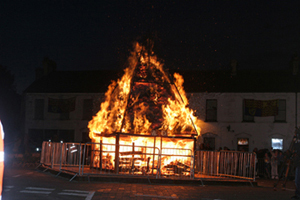 An eco-bonfire blazes last year in Killyleagh. 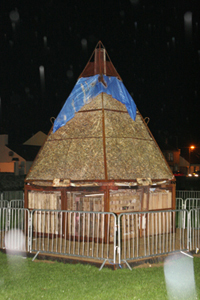 Eco-friendly Bonfire beacons will be lit at each event in the following locations; Windmill Street Carpark, Ballynahinch; Lislea Drive, Crossgar; Glen River Carpark, Newcastle; and St Patrick’s Square, Downpatrick and will include plenty of fun and games for all the family. The celebrations will be supervised by local community groups who have been working tirelessly to produce a spectactular that everyone can participate in. The sites have been chosen as centralised locations so all residents and visitors can attend. The Killough eco-bonfire last year made up of willow pellets. Four of these will be set off across the district. PCSP Chairperson, Down District Councillor Carmel O’Boyle said: “Halloween and mid-term break is a time when communities participate in the lighting of bonfires. The safety, supervision and organisation of these events have become a major concern in local communities. The need to identify and organise a better way to participate in these events has become more and more apparent. 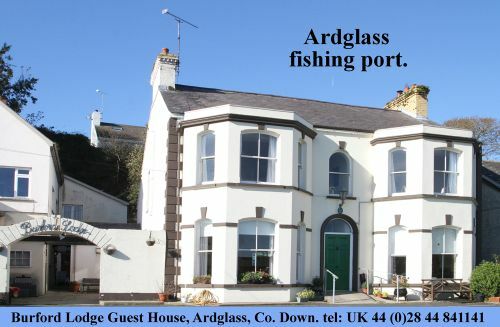 The project is funded jointly by the Community Safety Partnership and the EU’s Peace III programme, managed by the Special EU Programmes body and delivered by the North Down, Ards and Down Councils Cluster.